If you are short on time, the results are still lovely with a quick 1 hour marinade. And don't feel limited to cod. 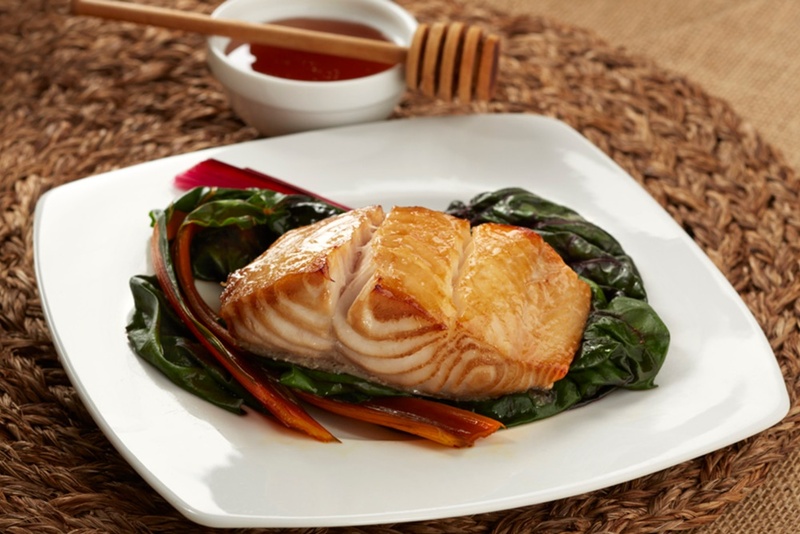 This honey marinade is fantastic on other white fish or even wild salmon. Just adjust the cooking time for the type and thickness of the fillets. Stir the honey, soy sauce, vinegar and olive oil together in a glass (or non-reactive) dish. Place the fillets in the dish, skin side up, so that marinade covers all of the fish flesh. Cover and refrigerate for 12 to 24 hours. Remove the fillets from marinade and place on a nonstick (or spray-coated/foil-lined) baking sheet. Season lightly with salt and pepper. Roast until the fillets are golden to dark brown, about 7 to 9 minutes. Cook just until fish is opaque throughout.